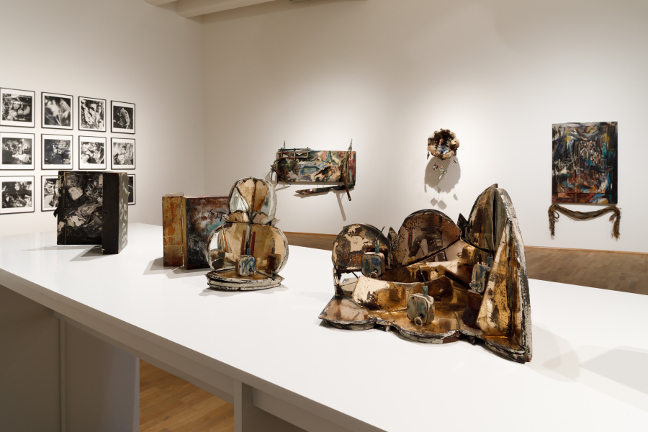 MoMA PS1 presents the first comprehensive retrospective of the work of Carolee Schneemann (American, b. 1939) in the United States, bringing together over 300 works spanning her prolific six-decade career. As one of the most groundbreaking artists of the second half of the twentieth century, Schneemann’s pioneering investigations into the social construction of the female body and the sexual and cultural biases implicit in traditional art historical narratives have had an indelible impact on subsequent generations of artists. 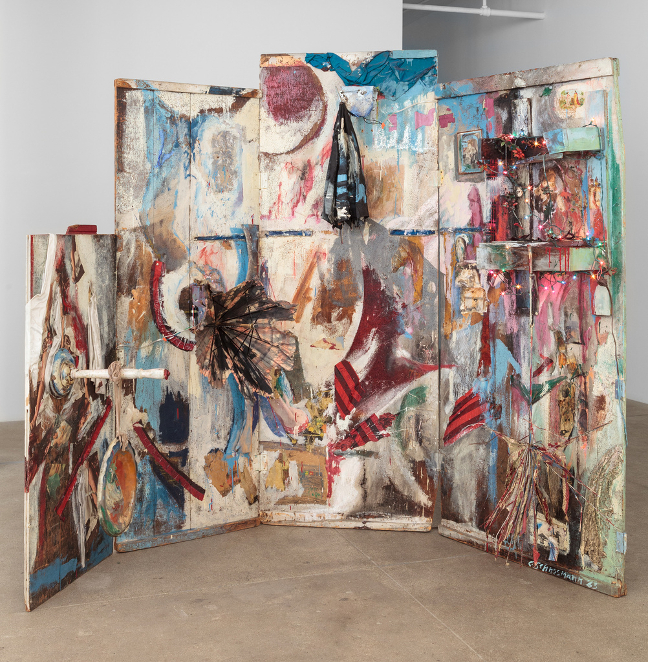 Carolee Schneemann: Kinetic Painting begins with rarely seen examples of the artist’s early paintings from the 1950s, charting their evolution into assemblages made in the 1960s—which integrated found objects, mechanical elements, and painterly interventions. A central protagonist of New York City’s downtown avant-garde community, Schneemann explored hybrid art forms that culminated in experimental theater events. She was a co-founder of the innovative Judson Dance Theater and the first visual artist to choreograph for the ensemble. During this period, Schneemann began to position her own body in her work with the intent of performing the roles of “both image-maker and image”. Responding to representations of sexuality made predominantly from the perspective of male artists, Schneemann’s provocative pieces foregrounded her body in ways that challenged prevailing attitudes about female sexuality. In parallel, Schneemann’s outrage over the atrocities of the Vietnam War are starkly reflected in several of her works from the mid-1960s. The exhibition grounds Schneemann’s oeuvre within the context of her lifelong commitment to painting and action, tracing the early developments that would lead to her iconic performances and films from the 1960s and 1970s, through to her multimedia installations from the 1980s, 1990s, and 2000s exploring feminist iconography, intimacy, and personal loss, as well as political disasters, captivity, and the destruction of war. 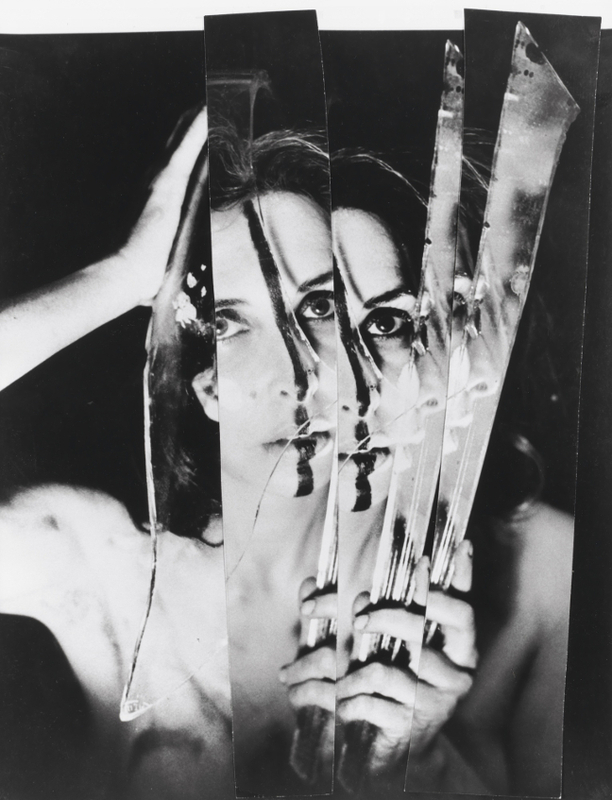 Carolee Schneemann: Kinetic Painting is organized by the Museum der Moderne Salzburg. The exhibition is curated by Sabine Breitwieser, Director, Museum der Moderne Salzburg; and consulting curator Branden W. Joseph, Frank Gallipolli Professor of Modern and Contemporary Art, Columbia University, New York; and organized at MoMA PS1 by Erica Papernik-Shimizu, Assistant Curator, Department of Media and Performance Art, The Museum of Modern Art; with Oliver Shultz, Curatorial Assistant, MoMA PS1.